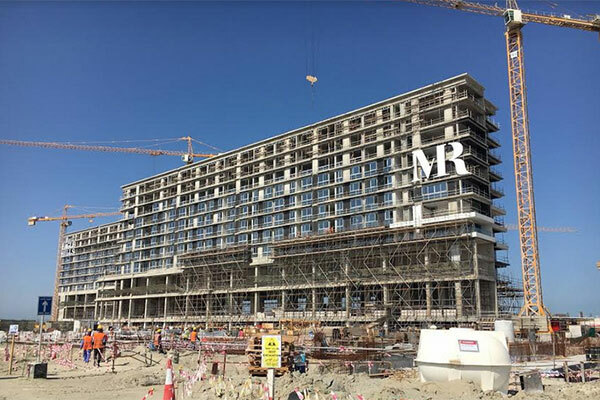 Eagle Hills Diyar, the developer of the iconic Marassi Al Bahrain luxury waterfront development, hosted a Brokers Event to showcase the project’s unique offerings which comprise both residential and commercial components. The first-of-its-kind event was hosted recently at Marassi Al Bahrain’s scenic sales centre located in Diyar Al Muharraq. The event was organised in a bid to further raise awareness about the development with the aim of boosting sales. Eagle Hills Diyar extended the invitation to both companies and individuals from Bahrain and Saudi Arabia. Guests were briefed about the development project by Eagle Hills property advisors, followed by lunch and a further exhibit of what the masterplanned development has to offer. The visit is in line with Eagle Hills Diyar’s continuous efforts to create awareness across different audiences of the new masterplanned development which comprises a cohesive mix of residential, retail and hospitality components, such as Marassi Residences, Marassi Shores Residences, Marassi Boulevard, Marassi Galleria, The Address Hotel and Vida Marassi Al Bahrain. Marassi Al Bahrain is a distinguished urban project by Eagle Hills, a private real estate investment and development company, headquartered in Abu Dhabi, as part of a joint venture agreement with Diyar Al Muharraq, the developer of mega-project Diyar Al Muharraq.